Fruits are an essential part of the Colombian daily diet. Here are some you may not be familiar with. Congrats Erica on hitting the century!! 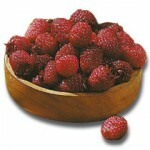 I have not seen most of the fruits here.. are the Moras raspberries? Those fruits look delicious and I am definitely keeping a look out to see if I can find any here in San Francisco. I cannot wait to try them. What a wonderful way to explore a new cuisine than by sampling the local produce. I miss a good glass of curuba juice!!!! yummy!!! Thank you every one for your comments! Congrats on hitting a 100 posts! 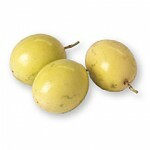 These fruits are all new to me other than Passion Fruit. Congratulations with your achievement, however I am curious about the next hundred! Reading your recipes really gets me going, I want to try them all ! Great post. I will have to look for these in my local markets. Congrats! I’ve never seen most of them before! Congratulations on your 101st post! 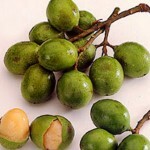 In Puerto Rico we call the Mamoncillo a “Quenepa”. I love those things! Thanks, erica for this lovely fruit presentation! I only knew 1 fruit. 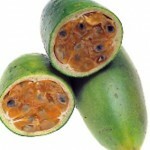 Man I miss these fruits…. have you been able to find any of them here in the US and if so in what kind of stores?? I live in Houston, so I’m guessing if they can be found anywhere in the US they should be found here… any thoughts??? 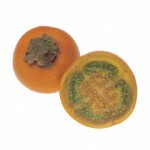 I don’t know about Houston, but you can find passion fruit in different states in the USA. I find almost all the fruits in frozen pulp from GOYA. HEY!Good question are they raspberries? I might be going to Colombia soon and would super much appreciate HELP! 2. In colombia do you give gifts to friends you just meet?? That is a good question. Moras are blackberries, but to be honest with you I am confused about that, because raspberries look just like Colombian moras. I am working in that answer. yes, we have more fruits. I really appreciate my gift, and I’m so glad you are actually from there!! People tell me how great the food is there. Oh ya…How much spending money is usually the small stuff: Souviners, candies, ice cream cones, stuff like that?? I need to know how much pocket money to bring.. This looks like a great site. 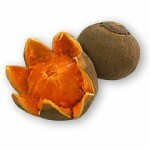 I’m actually starting my second year living in Venezuela, and today I brought a zapote home from the grocery store. The only problem is I have no idea how to tell if it’s ripe or how to best prepare it. I searched for info online and found your site. Any words of advice? Also, moras here in Venezuela are mulberries, not black raspberries. Thanks for your help! I don’t have any recipes using zapote. I used to peel it with my hands and eat the flesh 🙂 That simple! So, nice your posting. It look’s so good in your posting. So, nice your posting. It look’s so good in your posting. It is useful for all. 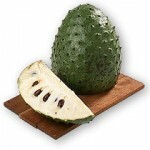 Guanabana con leche….it is such a delicious drink….I like Jugo de Luo too….I miss Colombia!!!! Nina! Tu no sabes quanto me estrana Zapote. Sabes si los venden en los EU? Gracias para eso pagina! Me encanta la comida Colombiana y tambien extraño mi pais hermoso! Quiero una receta de relleñas! 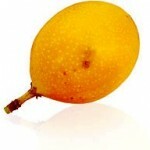 Alguien sabe donde puedo comprar frutas colombianas aquí en los Estados Unidos? Gracias por compartir nuestra Colombia! !